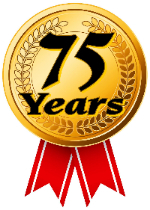 Bringing over 75 years of memorial manufacturing experience, Thompson Memorials is an industry leader in workmanship and creativity. Family owned and operated, Thompson Memorials cares deeply about the families we serve. We are considered one of the leading monumental companies in the memorialisation industry because of our commitment to professional standards and the culture of ethical conduct within our business. 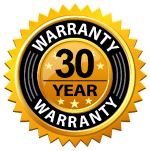 Our very long serving staff who are well qualified and have tremendous industry knowledge, will deliver service and workmanship to the very highest standard. As a result of our long history we understand the needs of our customer in providing empathy at what can be a difficult time. We are here to help you. Thompson Memorials design, manufacture and install granite headstones using the highest quality granite available from around the world. The combination of our experience and our investment in the latest technology provides the means to blend traditional and modern skills, thus offering our customers maximum choice at a competitive price. 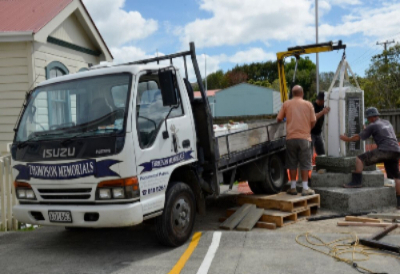 We offer a complete monumental service – all aspects of cemetery work are undertaken including additional inscriptions. We specialise in cleaning and restoration of old memorials. 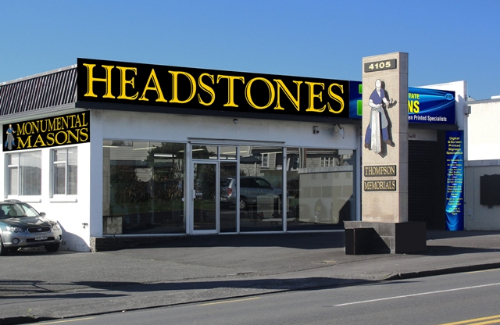 We have a comprehensive understanding of the regulations and bylaws that make the purchase and manufacture of a granite headstone a process of dignity and respect. Our strict quality control and performance attributes guarantee a headstone of the highest quality. We are pleased to bring you our designs via interment. Our intent is to simplify the process of designing and ordering a memorial, however, if you require something not on our website please contact us as we can manufacture any memorial. At Thompson Memorials the design of your memorial is only limited by your imagination. We help take your vision and turn it into a design that can be engraved into a permanent memorial. Customise your design by choosing from hundreds of pieces of artwork, lettering styles or supplying your own piece of graphic. 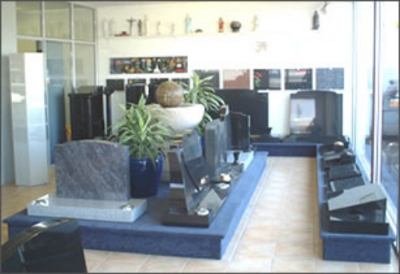 Each granite colour we carry has its own unique characteristics and can be carved into any custom shaped monument. Choose a favourite photograph and add it to the memorial in a beautiful, everlasting ceramic portrait. There are unlimited ways to make this memorial reflect the personality and life of your loved one. Thompson Memorials is a third generation family run business that established as a monumental mason business back in 1940. 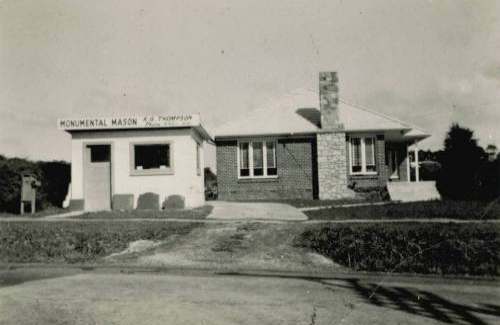 The business was relocated to the family residence in 1955, adjacent to Waikumete Cemetery. 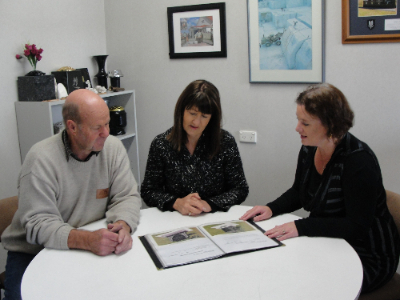 Over the course of time, the business outgrew the small workshop, and in 1977 land was purchased across the road, at 4105 Great North Road, and a large showroom and workshop was constructed. Further growth in business resulted in the need for even more space, and in 1990 a large extension was carried out to accommodate the extra expansion of the business. The present manager, Graham Thompson, commenced his employment with the company as an apprentice in 1976. "........ 3 generations of service, one standard of excellence"